We are excited to announce the opening of our remodeled rehab gym that doubled in size to meet the needs of our expanding rehab clientele! 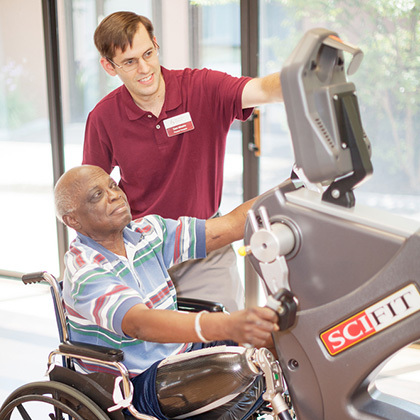 We offer an in-house therapy program with staff that provides Physical, Occupational, and Speech Therapy. Our therapists are among the best in the area and will work with you or your loved one to achieve the best results possible. 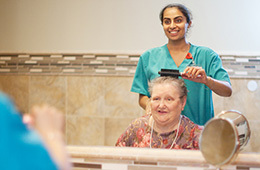 Along with traditional therapy workouts, we recently began a partnership with Accelerated Care Plus (www.acplus.com). 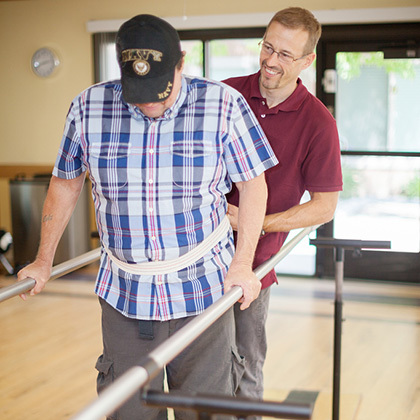 This new partnership allows us to provide specialized treatment programs and modalities that assist with pain management, range of motion, muscle training and healing, in a way that was not possible just a few years ago.